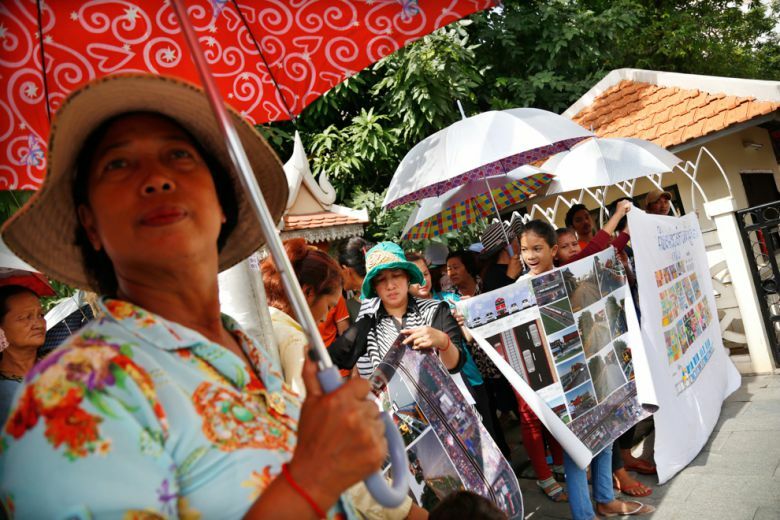 About 100 people yesterday gathered in front of Phnom Penh Municipal Hall to demand information concerning a proposed project to transform a disused railway into a road from the Phnom Penh railway station to Kilometre 6 in Russey Keo district. 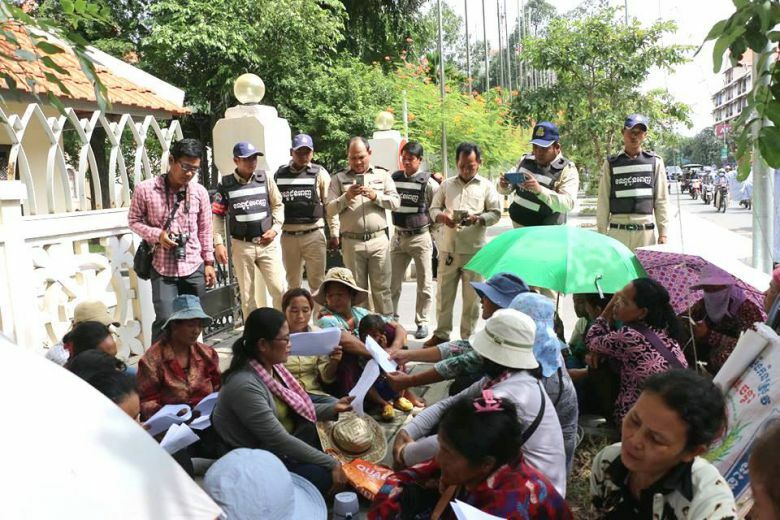 The villagers, who hail from Tuol Kork and and Daun Penh districts, fear the project will result in their eviction. “The municipal hall is still hiding information relating to the railway project . . . We are afraid of having the same fate as Beoung Kak, Thmor Kol and Borei Keila,” said Ny Sandos, a representative of village 23 in Tuol Kork, referring to several notorious land disputes. According to villager Neang Phannith, City Hall permitted a handful of people inside to speak with officials. However, villagers were prevented from copying documents laying out plans for the railway’s transformation. Maintaining that there was currently no concrete plan in place for the railway’s conversion into a thoroughfare, City Hall Deputy Administration Director Hok Huorlim, said that if the project does begin, “we will inform all the people via a public forum by explaining the reasons or the size of the impacts”. Similarly Met Measpheakdey, Phnom Penh Municipal Hall spokesman, yesterday insisted no project was underway. “People worry because they saw our officials went to measure,” he said, maintaining the measurement was unrelated. Human rights NGO Licadho’s monitoring manager, Am Sam Ath, said he supported efforts to obtain more clarity regarding the project. “If there is [any] impact how will City Hall solve the problem for the people?” he asked. This entry was posted in Borei Keila, Corruption, Development, Land, Land Concession, Land Dispute, Land Title, NGO, Phnom Penh, Phnom Penh Post, Protest, Railway and tagged Borei Keila, Cambodia, Construction, Development, Human Rights, Land, Land Concession, Land Dispute, Land Title, Phnom Penh, Phnom Penh Post, Protest. Bookmark the permalink.